This daily yoga class for digestion is intended for a an overtaxed or slow digestive system that tends towards constipation. If you are experiencing the constipation, hard dry stools and bloating from IBS then this class will also be beneficial for you. ¨Worldwide, approximately 12% of people suffer from self-defined constipation; people in the Americas and the Asian Pacific suffer twice as much as their European counterparts.¨ according to Medscape statistics. I know nobody wants to talk about it, but, yes, I am going to do it. Listen, everybody is supposed to have bowel movements everyday and being constipated doesn’t just mean you are missing your bowel movements. Constipation is painful and uncomfortable that is why I created this daily yoga class for digestion. The yoga poses in this class pull and pressurize the large intestine, helping to move stools through the colon. The large intestine is both compressed and lengthened so that it can be both stimulated to wake up and relaxed to let go. 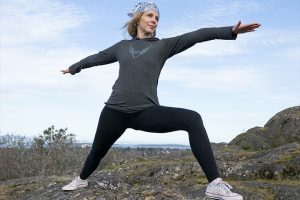 Additionally, there are many yoga poses in this class that contract and stretch the abdominal organs, encouraging movement in the digestive system. Several yoga poses in this class create space in the abdominal area improving the function of the digestive system as a whole. Many of the optimal poses for digestion in this yoga class are practiced in their twisting variations. Twists will massage the digestive organs and stimulate your digestive fire. Your digestive fire will allow you to absorb the nutrients from your food and release the waste with ease. 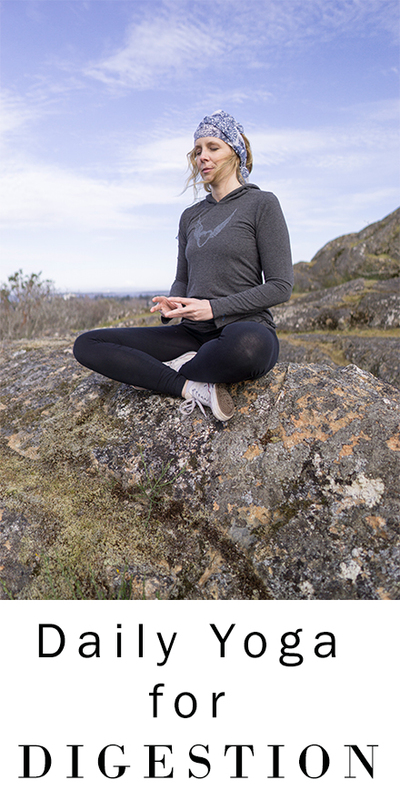 There are two mudras (yoga for your hands) used throughout this daily yoga sequence that are specifically meant to improve digestion and relieve constipation. Please note my intention is to create a different daily yoga class for digestion for people with Crohn’s, Colitis and the side of IBS which tends more towards inflammation of the digestive system and diarrhea. These digestive issues need a different yoga program which is calming and sedating. To unlock the rest of this daily yoga class for digestion, click on the link below to join our membership community.